You’re telling me that the washing machine isn’t coin operated? After the brutal semester of exams, midterms, papers, the constant onslaught of politically and emotionally draining revelations of sexual predators, on-campus racism, the switch from $4 burger day at Charley's to $5 burgers as well as $2 latte day at Espresso becoming $2.50, wolverines just want to go home. And here are the thoughts Wolverines have as they prepare for their few days of respite. Should I do my laundry now or take home the last three weeks of clothing to wash at my parents' house? As wolverines approach the dilemma of planes, trains or automobiles back home, the question in mind is always whether or not they will be able fit all their laundry into the single suitcase meant for shared transportation. What punny jokes can I use to lighten the tension when one-too-many alcoholic beverages have been consumed and family conversation turns to politics? It's time to review those harmless popsicle-stick jokes as a way to divert conversation before someone storms away from the table. I can't wait to eat pumpkin/ apple/ pecan pie for breakfast the day after T-Day! It may not be March 14th, but no judgement shall be passed on the person who feasts on a dessert for breakfast the day after Thanksgiving. Finally, I'll be able to blow up my snapchat with cute snaps of my dog or whatever cute baby relative is brought to dinner. An alternative is to also Instagram a picture of the dog in place of a bloated person post-Thanksgiving weight gain. The cats will try to get in the picture but they won't get as many likes as the dog. I hope I don't run into XYZ from high school while grocery shopping for Mom. Wolverines know that now they have been accepted to the greatest university in the world so it is beneath them to see the hoi polloi of their past. I can't wait to have an excuse to lay on the couch all day just to "watch" the Macy's Thanksgiving Day Parade. Not that this didn't happen last weekend instead of going to the Ref Room. 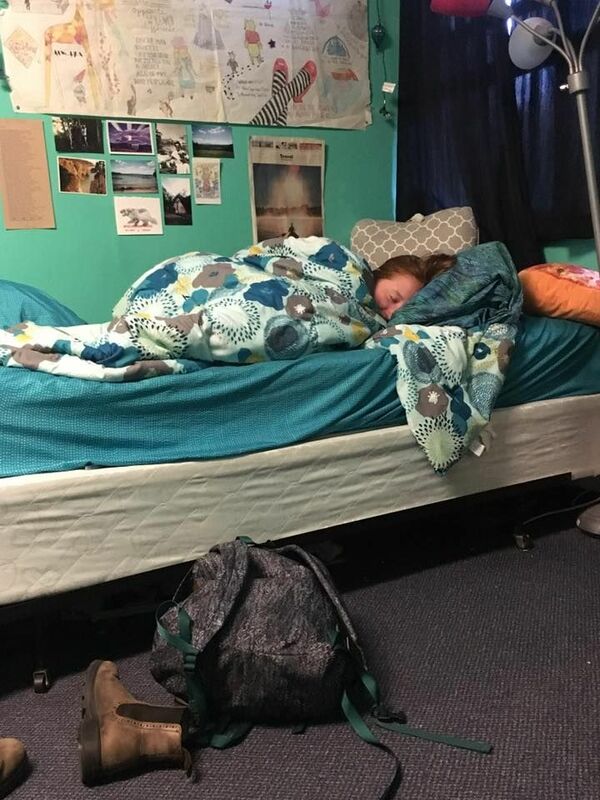 As Maroon 5 once said, "I'm never gonna leave this bed." 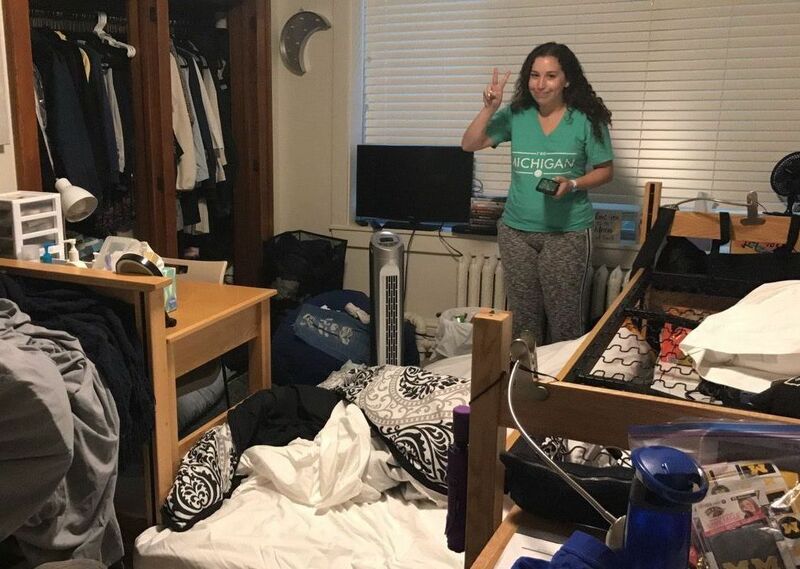 A hardworking student at Michigan averages about 6.92 hours of sleep a night, according to a survey done by The Tab – Michigan students know that when they get home they won't be getting out of bed for the next 48 hours. Home is fun and all, but I can't wait to be back at hoMe in sweet A^2. Let's face it, while Thanksgiving vacation is a wonderful time to take a break from stressful academics and actually contemplate gratitude in addition to reflecting on the fact we stole this land from the Native Americans… Ann Arbor will always be our family and hoMe in our hearts. Go Blue.